In 1925, Yankel Hirsh Segal and his family emigrated to Israel and settled in Tel Aviv. Brothers Elhanan and Yehezkel established Israel's first distillery in the German colony known as Sharona, or Kirya, in Tel Aviv. Their experience and reputation led them, in the 1930s, to be asked by the French rulers to set up distilleries in Beirut and Damascus. In 1954 the family decided to concentrate on wine production. The winery moved to Ramle, and was called the Zvi Vineyard. The name was later changed to Segal Wines. All the winery's bottles bear the Segal wine logo, reproduced in Zvi Hirsh's own handwriting. 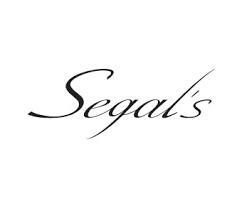 In 2001,Segal's was bought out by the Barkan Group. The new management recognized the quality and tradition of Segal's wines, and allowed it to be managed as an independent winery, with separate cinders and installations and it's own unique production process. Winemaker Avi Feldstein is a former poet, journalist and barman. He first started out as a tour guide, later becoming a professional manager in charge of development. Avi had the best training possible for becoming a winemaker, learning everything in the vineyards from experienced winemaking veterans. This wine offers aromas of pineapple, melon and rose petal. It is soft on the palate, with flavors of pear, toasted pineapple and Turkish delight. The finish is marked by a touch of bright kiwi flavor and lingering florals.